Expand your vision and change your perspective using creativity. 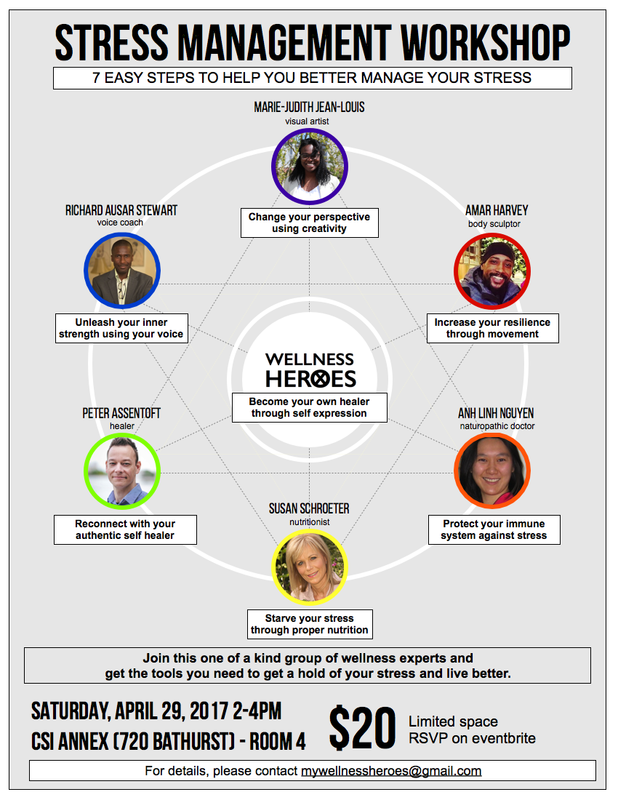 I will be taking part in a workshop to help people better manage their stress this coming Saturday, April 29 2017 at 2PM along with some fellow wellness experts to provide a complete practical guide addressing various aspects of the effects stress have on your body and how to protect yourself from it. Are you living your life in survival mode ?